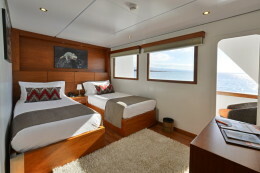 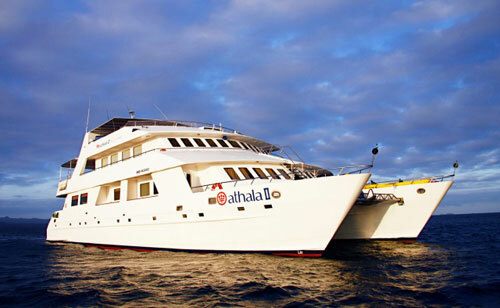 The Athala II / Celebrity Xploration is one of the most luxurious yachts in Galapagos… For those looking for a Galapagos adventure cruise in style, the 16-passenger Celebrity Xploration provides a cozy small yacht atmosphere, comfortable accommodations, personalized service, a dedicated cruise director, and more; in order to offer the best service to our passengers and be aware of their needs. This Motor Catamaran was specifically designed and built to cruise the Islands providing comfort and excellent stability for those looking for a Galapagos adventure cruise in style. 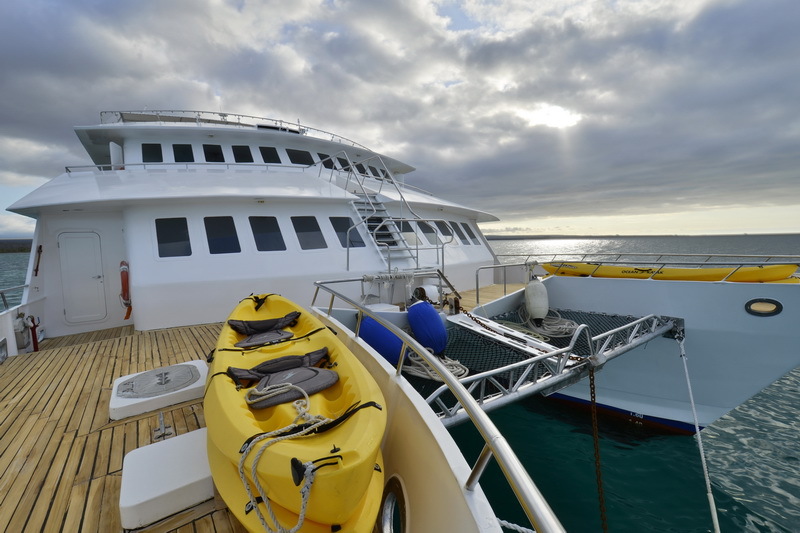 The Celebrity Xploration offers spacious and comfortable, fully-air conditioned accommodations and personalized attention. 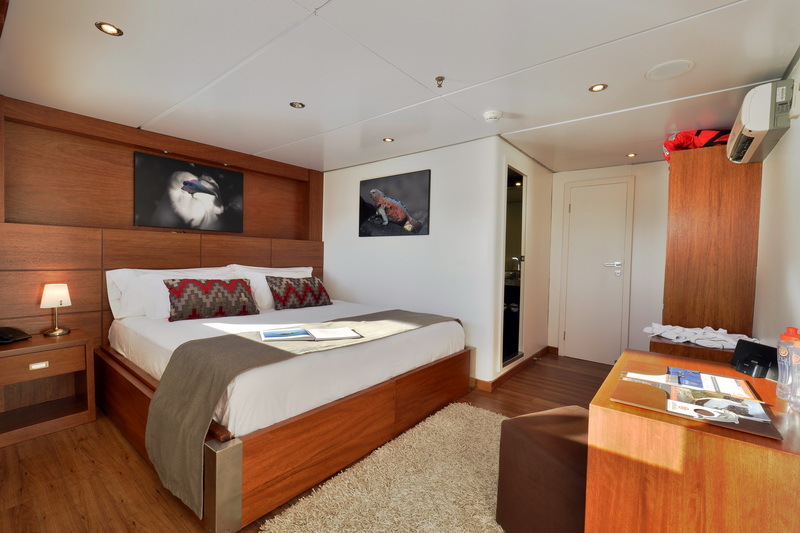 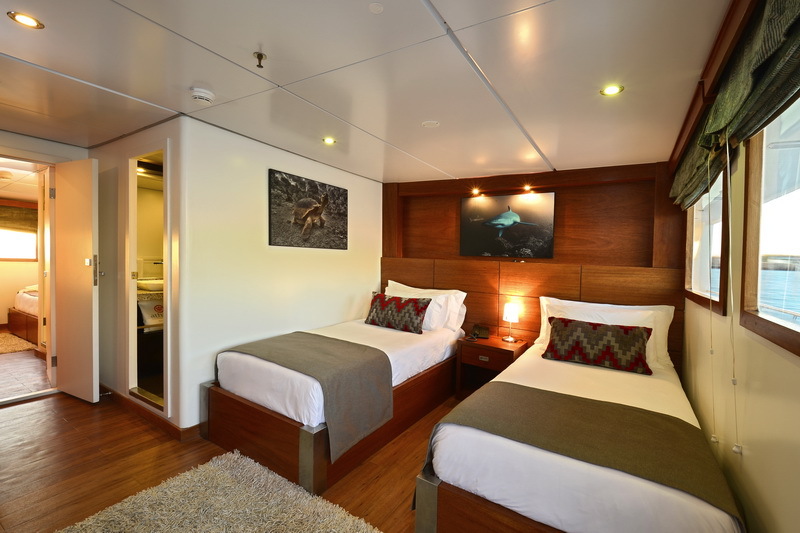 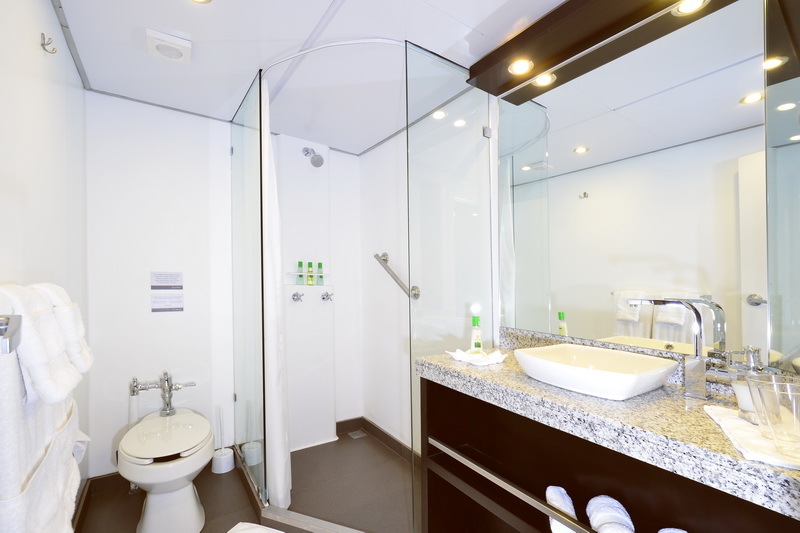 This beautiful catamaran is equipped with 8 double staterooms of which 4 have private balconies and are located on the main deck and 4 located on the upper deck; all the staterooms offer large picture windows and either queen or twin bed configurations. 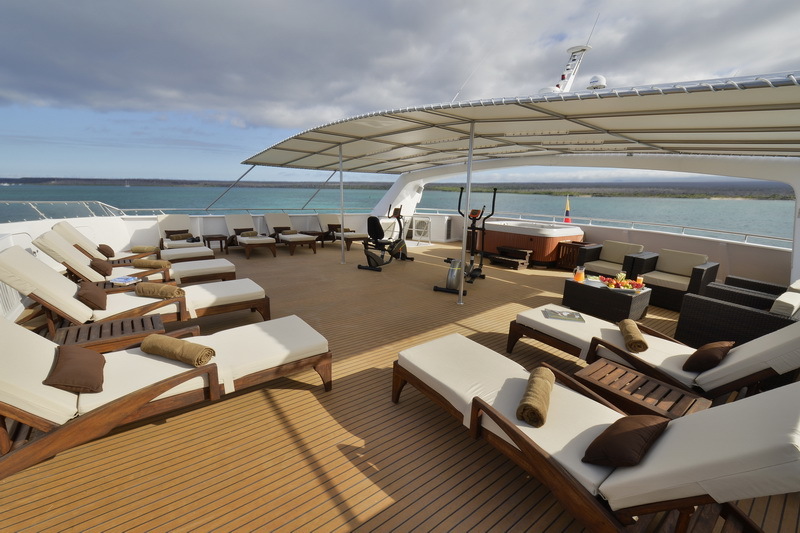 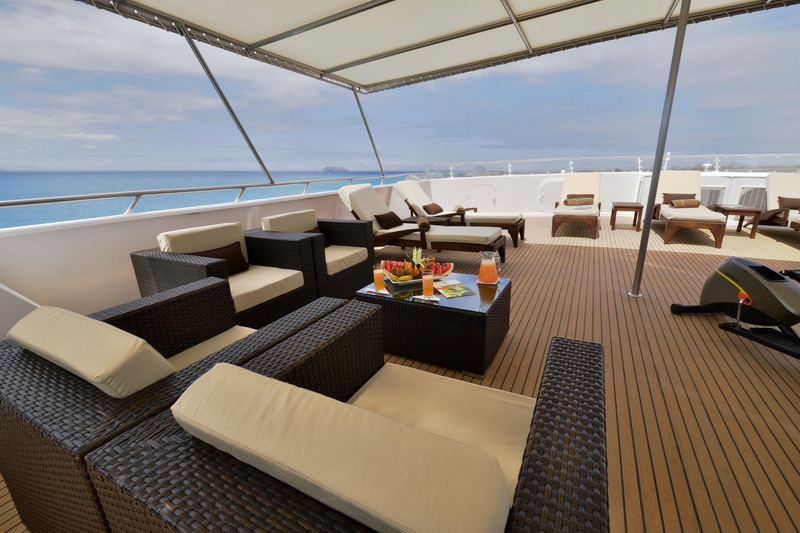 The Celebrity Xploration’s upper deck features a bar and a beautiful open area for relaxation and al fresco dining. 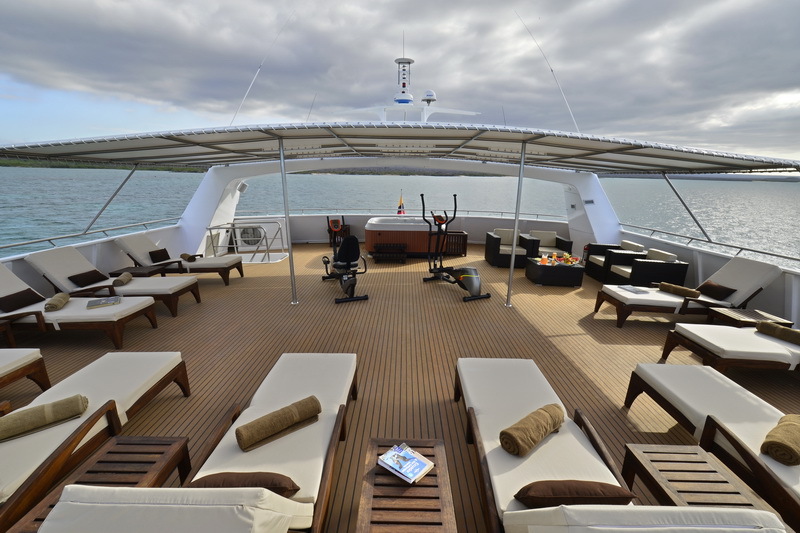 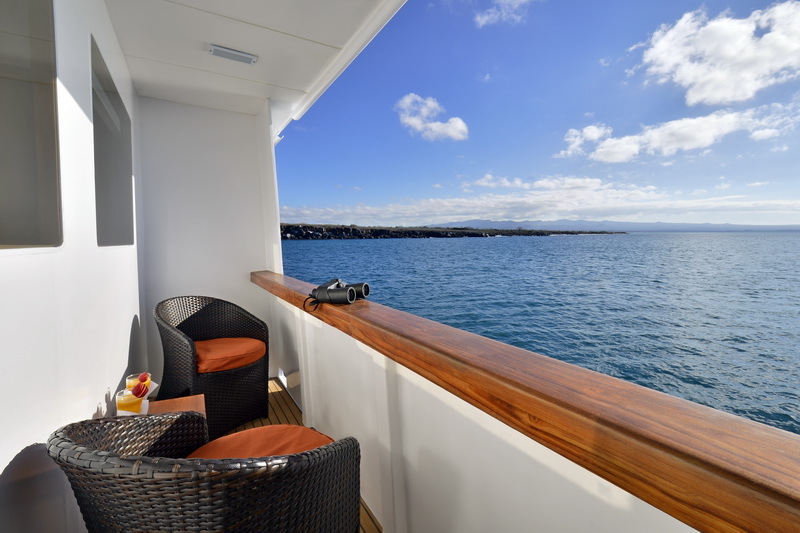 The sundeck is great for whale and dolphin watching or to simply relax in the Jacuzzi. 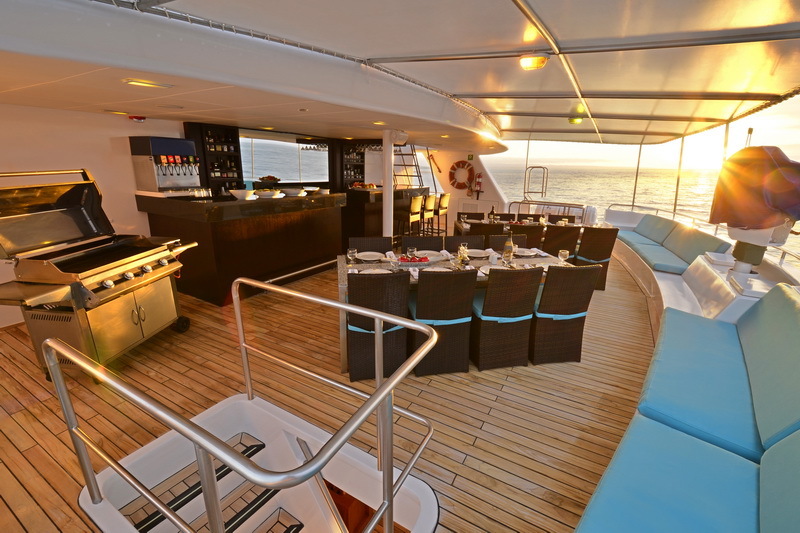 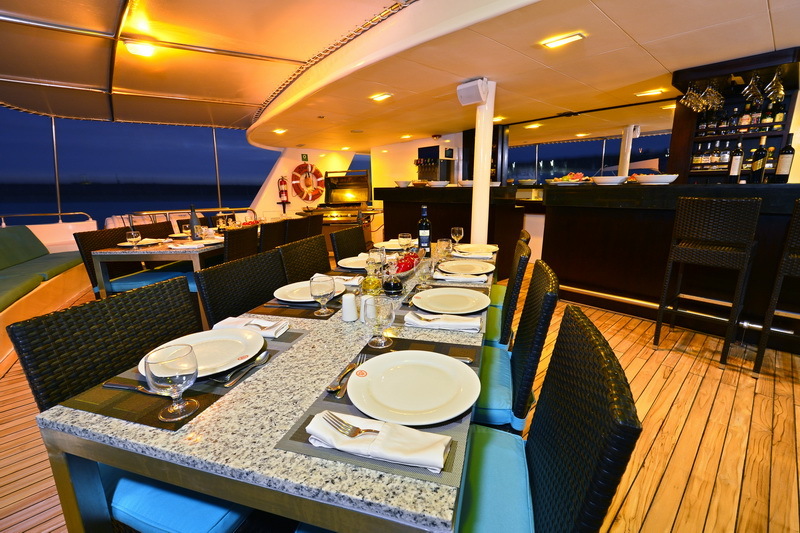 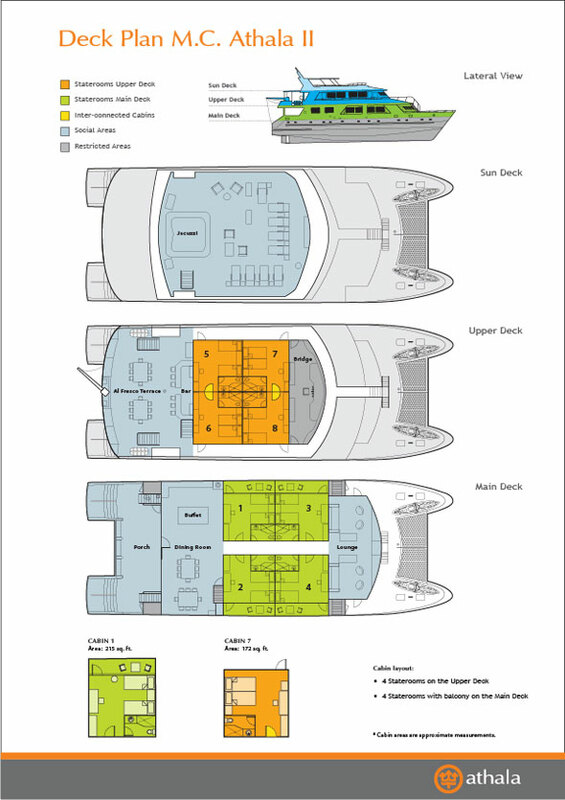 The dining area can be found on the main deck, along with a really comfortable lounge. 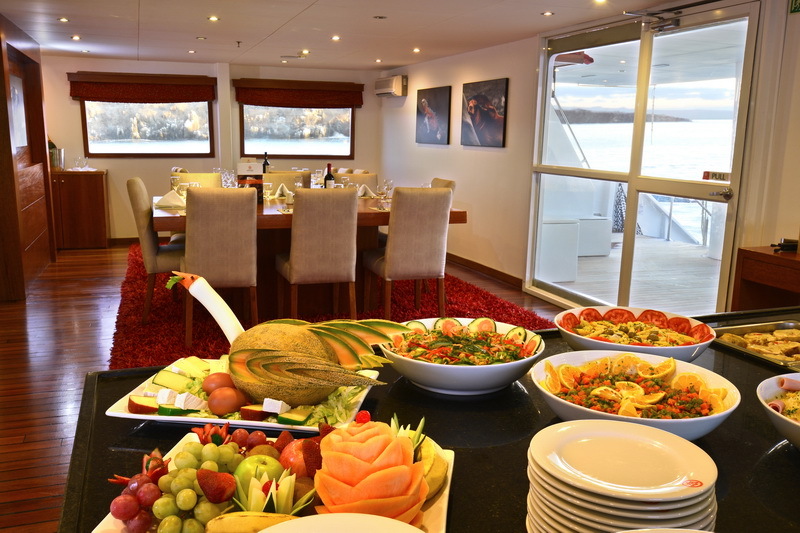 All meals are served as a buffet style with all soft drinks included. 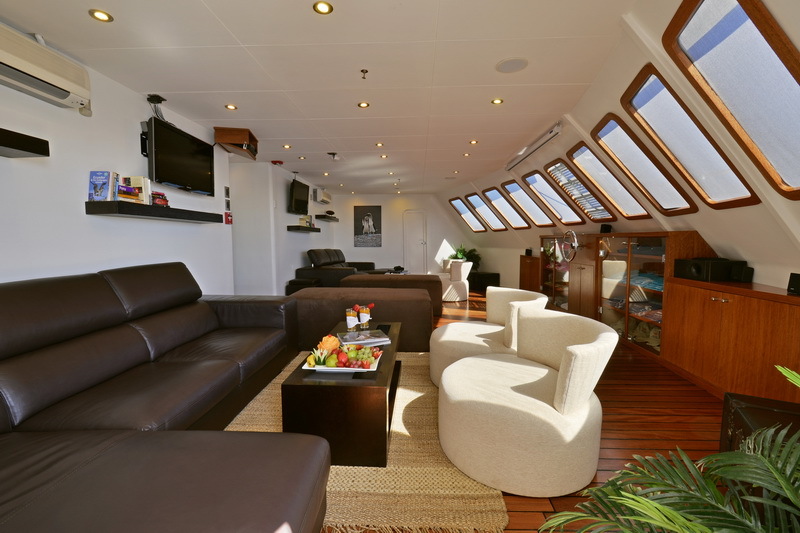 Fire Equipment: Fire detection throughout vessel, 2x Self activating CO2 engine room extinguishers, 24x 10lb powder extinguishers, 4x 9ltr foam extinguishers, 6x 20lb CO2 extinguishers, 3 firehoses and pumps etc.